Flowers India - Flowers are used for several purposes in India and abroad. 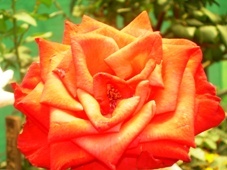 Many types of flowers are produced in India and exported to various countries. 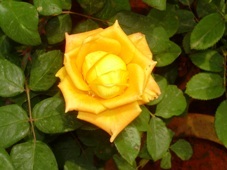 Karnataka is the leader in floriculture accounting for 75% of India's total flower production. Among the flowers exported, cut flowers Roses and Gerbera play a great role. The main flowers grown in Southern India which are used for sending the gifts are mainly Roses and Gerbera Daisies. They make beautiful bouquets and gifts.There are several colors of roses grown in Southern India, such as white rose, pink rose, red rose, yellow rose, orange rose etc. Why flowers India? Many Indians living abroad send gifts to India by way of flowers, chocolates and other gifts. There are many Florists in South India who cater to the needs of people for sending gifts to India. Easily people can order through online and these gifts are delivered on the given day, without any problems. The services of these florists are more utilized during various festivals of India such as Rakhi, Onam, Deepavali etc, or to show your tender feelings on Valentine's Day . Not only for the festivals, a friend's marriage, or a daughter's birthday, or a girl friend's or boy friend's birthday, or during the wedding anniversary of the loved ones, people prefer to send flowers to India. The flowers and other gifts are delivered easily to their dear ones. No matter which part of the world you are in, you can utilize the services of these florists and place an order to send flowers to India, from USA, Europe, Canada, Gulf countries, African countries or anywhere else. In today's modern technological world, it is very easy to send flowers as gifts by simple process of just clicking few buttons. In many parts of India, the recipients can get their flowers delivered on the same day.